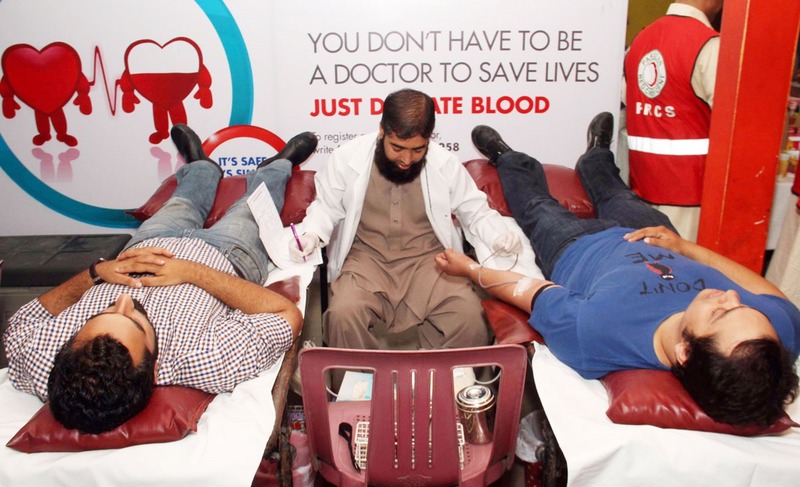 Zong recently organized a blood donation drive at its various offices in Lahore and Islamabad. Donors including Zong employees and top management enthusiastically participated in the blood donation drive being held on the World Blood Donation Day 2013. It merits mentioning here that Zong recently signed a memorandum with Pakistan Red Crescent Society (PRCS), a humanitarian relief organization. Under the agreement, Zong helped PRCS by providing it with a short code service through which ZONG customers can register themselves as blood donors by sending “REG” on 2258 after which they will be contacted by the Red Crescent at the time of need. Dr. Kamran Mushtaq, Director Training and Health PRCS said, “We are thankful to all the volunteers who donated blood and became part of this valuable and noble initiative. This year’s campaign of World Blood Donor’s Day was focused on the value of donated blood to the patient, not only in saving life, but also in helping people live longer and more productive lives. PRCS and Zong are working in close collaboration in the development and implementation of safe blood transfusion reforms”. Campaign has received an overwhelming response. ZONG is also broadcasting PRCS blood donation awareness SMS to its user base in main cities of Pakistan for its continuous efforts in helping Red Crescent in blood donation awareness campaign.